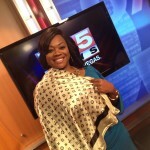 Staff at Goodwill Deja Blue poses with Good Morning Las Vegas anchor Beth Fisher. 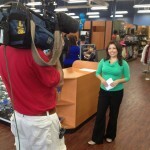 8NewsNow reporter Cassandra Garcia goes live from Goodwill’s Deja Blue Boutique on opening day. 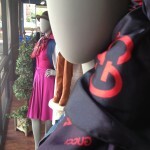 Can you say shopping success? 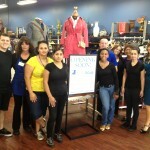 Congratulations to Goodwill of Southern Nevada’s new Deja Blue Boutique on Charleston near Town Center in Summerlin. 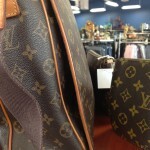 The new upscale boutique opened on Friday, September 6 to crowds of eager shoppers looking to snag a brand name bargain. The best part? 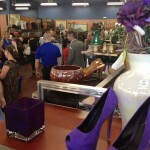 Sales from Deja Blue help someone in OUR community find work. Win-win! Love it!